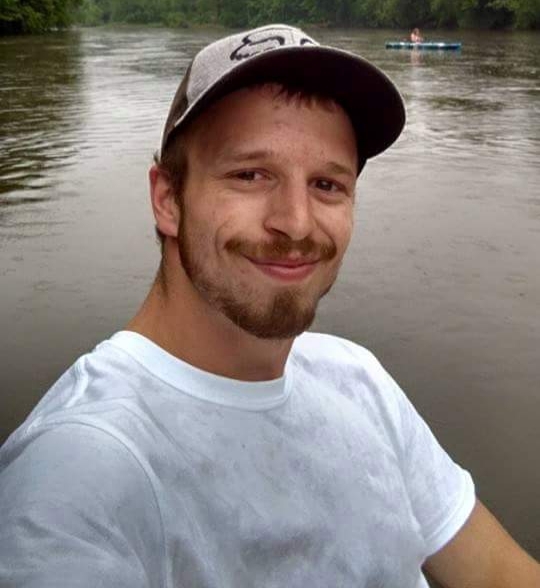 Cory Edwin Allen Hawke, 29 of Harrisville passed away July 24, 2018. Cory was born October 3, 1988 in Grove City, he was son of Tamela Lee Hiles Bucklew and Ronald James "Rocky" Hawke Jr.
Cory attended Franklin High School and received his degree in Welding from New Castle School of Trade. Cory had most recently worked for Protek Metal Inc. in Emlenton . He had also previously worked at Riverwoods Cabinetry. Cory enjoyed the outdoors, especially fishing, hunting, river activities, ATV mudding and spending time with his son. Cory was a sons member of Harrisville Legion Post 852. He was at his best when he made people around him laugh. Cory was a practical joker and had the quickest wit of anyone in his circle. He wore his heart on his sleeve and was always willing to help everyone he loved, of whom there were many. Loved ones left to cherish his memory are his mother Tammy, his father Rocky, his fiance Crystal Lynn Thompson and their son Waylon Thomas Hawke, brother Ronald James Hawke III, sister Elizabeth Helena Hawke, maternal grandparents Stephen and Leona Hanna and his step grandmother Phylis Hiles, paternal grandmother Carol Davis, Uncle Chad Hiles, Aunts Denise Hiles and Linda Reddish, step-uncle Michael Bordell, step-aunts Brenda Saeli and Tammy Meyer, seven nieces and nephews as well as a large number of great aunts and uncles and cousins. His two best friends Dean King and Cody McBride, along with all his friends who where his family as well. Preceded in death by maternal grandfather James Hiles, paternal grandfather Ronald James "Butch" Hawke, Sr., paternal step-granfather Russell Davis, Uncle David Hawke and step-father Thomas Bucklew. Family will receive friends and family at the Larry E. McKinley Funeral Home, 109 Emlenton Street, Clintonville on Saturday, July 28, 2018 from 10:00 am till noon, then again from 1-3 funeral services will take place at the funeral at 3:00 p.m. Saturday, with the Rev. Chris Clark officiating. The family suggest memorial donations be sent to the funeral home to help defray funeral cost.